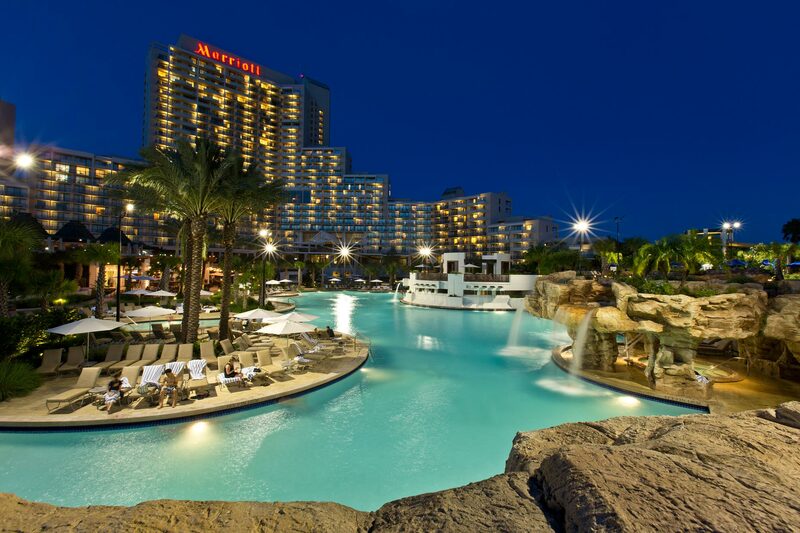 Orlando World Marriott photography of hotel pool at night. By professional Orlando Resort & luxury hotel photographer, Joe Brooks. Contact us today to learn more.